The Weatherman #6 unveils variant covers from Jerome Opeña and Cliff Chiang – AiPT! The Weatherman #6 will hit shops with variants from two of Image’s top artists. In celebration of the climatic finale of the series’s opening arc, The Weatherman #6 will ship with two limited edition variant covers courtesy of Jeome Opeña (Seven to Eternity) and Cliff Chiang (Paper Girls). Following the conclusion of the opening arc with issue #6, available Nov. 14, The Weatherman will go on a planned break and return in May 2019. The series, written by Jody LeHeup (Shirtless Bear-Fighter) and drawn by Nathan Fox (Dark Reign: Zodiac), has been a critical hit since it’s debut in June 2018, averaging an 8.6 on ComicBookRoundUp.com and receiving consistently high marks from our own Alex McDonald. The Weatherman follows the story of humanity after Earth is destroyed by a radical terrorist called the Sword of God, causing the survivors to re-establish society on Mars all while the ruthless orchestrator of Earth’s demise remains hidden… until the titular weather-man Nathan Bright discovers he may be more closely connected to the Sword of God and the end of the world than he ever knew. It’s best described as a brilliant mixture of the ever-present sense of despair from The Leftovers, the science fiction infused post-Earth setting of Titan A.E., the slowly unraveling mystery of Memento, and the insanity and action of Borderlands. 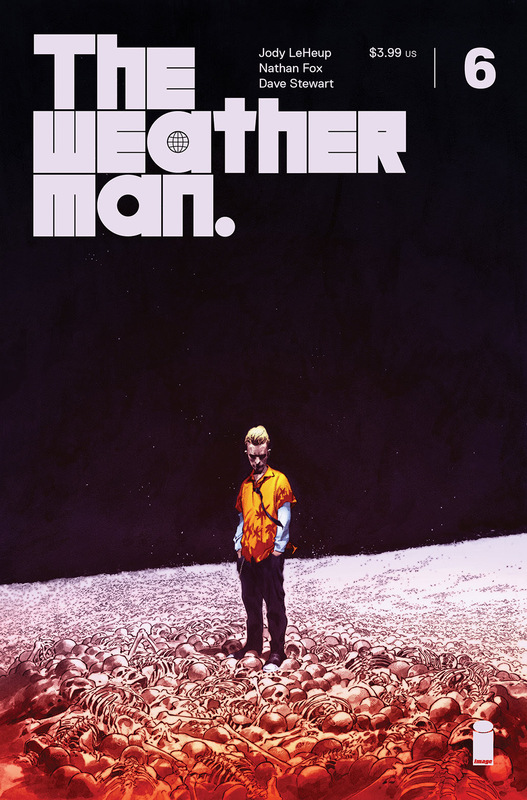 Published by Image Comics, The Weatherman #6 hits comic book shops on Nov. 14 with a FOC of Oct. 22.